Born in New Orleans, Louisiana, Yasmine is a playwright, arts therapist, and educator. 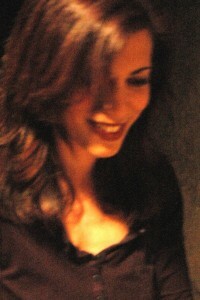 Yasmine’s plays have been produced and developed in the United States and abroad. Yasmine is also a Registered Drama Therapist and New York State Licensed Creative Arts Therapist and has worked with refugees in Bosnia, The Republic of Georgia, and Switzerland where she implemented an arts and education program for Bosnian youth. She holds Master’s degrees in Education and Dramatic Writing, with clinical certificates in Creative Arts Therapies and International Trauma Studies. Yasmine’s work with the arts and traumatized populations has been presented internationally at conferences and workshops. The Weekly Telegraph published an article on Yasmine’s work with English language learning, the arts, and displaced populations. She has contributed to arts therapies books and journals on the role of the drama therapist with asylum seekers, refugees, and immigrants. A volume of Yasmine’s plays entitled The War Zone Is My Bed and Other Plays by Yasmine Beverly Rana will be published by Seagull Books. Her plays have been published in journals and anthologies including, The Drama Review, The Kenyon Review, The Best Women’s Stage Monologues, The Best Stage Scenes, and Blackbird. Yasmine’s plays have been translated and published in Romania. Yasmine was worked with theaters including The Birmingham Repertory Theatre in England, Fest Art Cluj in Romania, The Looking Glass Theatre, La MaMa E.T.C., Second Stage Theater, Playwrights Theater of New Jersey, among others. She has performed solo versions of her plays in London through the Accidental Theatre Festival at the Roundhouse Theatre and the Institute of Contemporary Arts. Yasmine has returned to acting and done voice-over work for Dateline NBC. Set along the Mississippi River, a wolf-like whistle is the catalyst for this journey of trauma and memory for Joley, an adult, breaking free from her past. The murder of a prostitute in New Orleans leads to a surviving family member’s search for answers and decency. A mystical and magical creature places her spell on a very ordinary man. It’s New Years Eve and Beatrice and fiance Peter visit a psychic who tells Beatrice that her soulmate’s first initial is . . . M? Follow Beatrice as she embarks on a whirlwind journey in search of “M”. Koalas or people? That is the question for James, a high powered CEO whose entire life-philosophy is re-examined when he is visited by an artist who wants him to fund her project. The levees break in New Orleans forcing illegal immigrants and lovers Meena and Raj to decide between daring to hope for life or coming to terms with death, after having risked an honor killing for love. From a detention center for asylum seekers, to an art gallery in Sarajevo, the conflicts brought about by war are examined through the intertwined lives of those living it. The value of human life engulfs a bedroom as Mina pleads with her partner to take the risk and say yes to life, rather than embark on a journey of destruction. Personal relationships and spiritual destruction in war-torn Sarajevo and Kabul, as a journalist’s motives are questioned by his lover, a native of the war zone.